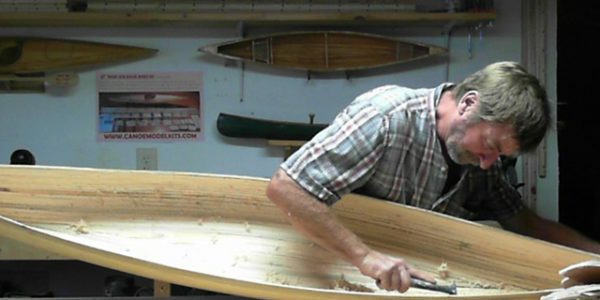 EXPERIENCE THE FUN OF BUILDING YOUR OWN CANOE OR KAYAK RIGHT ON YOUR TABLE OR WORKBENCH! 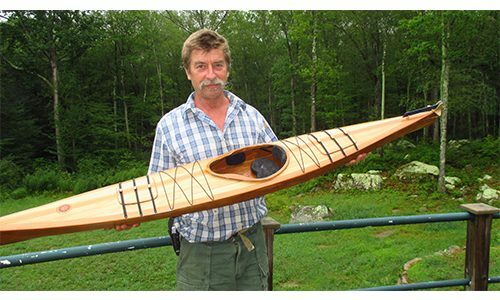 JUST LIKE BUILDING THE ACTUAL FULL SIZE CANOE OR KAYAK BUT EASIER AND LESS EXPENSIVE. 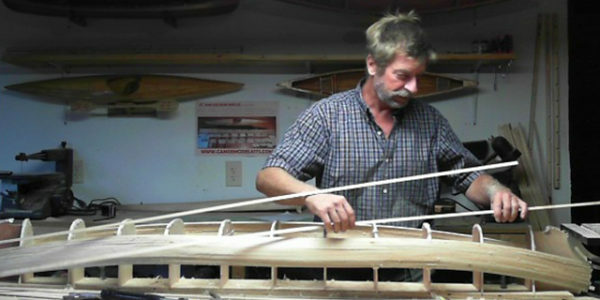 ITS AN AUTHENTIC SCALE MODEL OF POPULAR CANOES AND KAYAKS, UNIQUE AND CUSTOMIZED BY EACH BUILDER. VARNISHED OR PAINTED, IT WILL BE THE SHOW PIECE OF THE DEN, OR OVER THE FIREPLACE IN THE GREAT ROOM. BASIC WOOD WORKING TOOLS IS ALL THAT’S NEEDED. THERE ARE MANY NEW OPTIONS BEING ADDED ALL THE TIME. SEVERAL INSTRUCTIONAL VIDEOS SHOW STEP BY STEP OF THE CONSTRUCTION. ALL QUESTIONS OR INQUIRIES ANSWERED RIGHT AWAY. THERE ARE MANY COMPLETE MODELS FOR SALE AS WELL. WE WORK HARD AT DELIVERING QUALITY WOODS, HAND PICKED AND INSPECTED. BROWSE THE SITE AND FEEL FREE TO EMAIL or CALL ME WITH ANY QUESTIONS. IF YOU HAVE ANY PROBLEMS CHECKING OUT OR WOULD LIKE TO PAY BY A CHECK OR OVER THE PHONE, NO PROBLEM. CUSTOM IDEAS? ALWAYS LOOKING FOR THEM, SO LET’S GET STARTED! 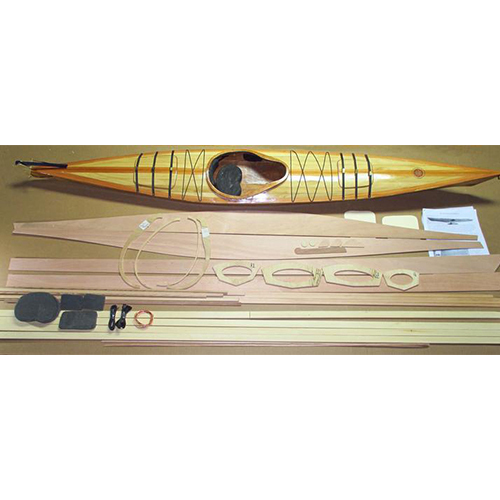 6 Great canoe model kits from 24”, 36”, 54”, 72” up to a whopping 96”. 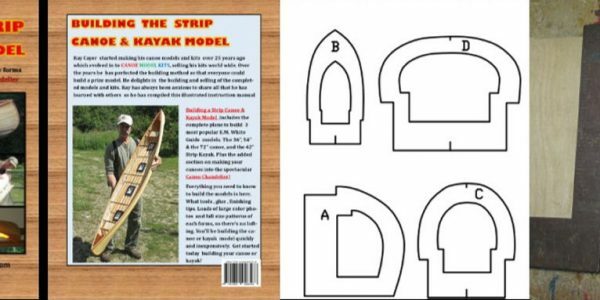 4 Very cool kayak model kits. 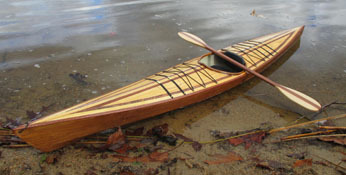 The 42” & 72” stitch & glue, 42” strip kayak and a skin kayak. 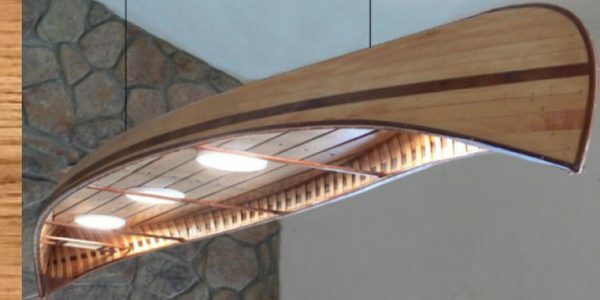 Complete plans and templates for 3 canoes, 1 kayak.